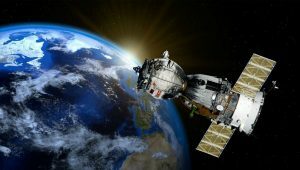 India’s successful testing of an anti-satellite missile to destroy a satellite flying in low-earth orbit has catapulted it into an elite club – comprising only US, Russia and China previously. The anti-satellite or A-Sat capability certainly adds to India’s defence-strategic heft. However, if you break it down, what it amounts to is that in the unlikely event that China chooses to intervene in an India-Pakistan conflict by knocking out Indian satellites and thus ‘blinding’ India, New Delhi now has a deterrent: it can knock off some Chinese satellites too. Such a cosmic feat won’t resolve more earthbound, everyday problems: such as how to seal the LoC against regular terrorist incursions from the Pakistani side. The A-Sat mission, dubbed Mission Shakti, exemplifies the potential of India’s technological prowess. However, while Indian science is flying high in space, technological innovations on the ground remain lacklustre. Notwithstanding India joining the Star Wars club, its armed forces continue to be saddled with vintage military hardware. As demonstrated during the recent air skirmishes with Pakistan, the Indian Air Force had to deploy ageing Mig-21 Bisons against Pakistani F-16s. The requisition process for a medium-role modern fighter aircraft has spanned two decades and four administrations. Even the end of the current Modi administration will not see a single Rafale jet being inducted into the air force. Similarly, the indigenous Tejas Light Combat Aircraft has taken more than three decades to reach induction stage. More fundamentally, India has failed to create a vibrant military-industrial complex that can produce cutting-edge weapons platforms for modern operational requirements. We see this in the civilian sector as well. Despite the National Manufacturing Policy being notified in 2011 to boost manufacturing’s share in India’s GDP to 25%, we are still well below that mark. 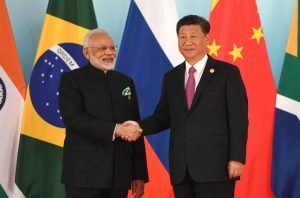 The Modi government’s ‘Make in India’ programme too has largely failed, as evidenced by jobs and industries moving towards Vietnam, Bangladesh and other Asian countries as China moves higher up in the manufacturing value chain, while India continues to be racked by severe jobs and agrarian crises. We must realise that China’s rise as a military power has tracked its rise as an economic power. India may have achieved A-Sat capability, but it will continue to be vulnerable to cross-border terrorism from Pakistan unless it focusses on the basics, unfetters innovation, and boosts the economy. That would be real Shakti. It is just as well that the move to privatise six more airports could not be completed before the model code of conduct kicked in. This is not because one company has won all the six bids for choosing the relevant private party. Nor is the objection that the winning bid is from a company that has no prior experience in running airports. The objection that is most valid is that the bid criterion, how much the bidder would pay the Airports Authority of India (AAI) per passenger using the airport, is deeply flawed and has the potential to raise airport user charges inordinately high. The public-private partnership (PPP) to modernise the Delhi and Mumbai airports has produced world-class facilities, true. However, the contract awarded on the criterion of revenue to be shared with the government has turned out to be flawed. Such a criterion has no built-in incentive to lower costs. It also induces the winning airport developer to adopt measures such as capitalising future revenue streams upfront, and take such capitalised revenues out of what has to be shared with the government. This simple-minded formula, devoid of any link to cost, has also resulted in repeated increases in airport development charges. Airports are local monopolies, for the most part. Reining their user fees depends on regulation, rather than competition from other airports. The move to dilute the scope of the airport regulatory authority, such as via the Aera of India (Amendment Bill 2018), shows how tenuous such regulation could eventually be. The very bid terms of the PPP contract must ideally contain elements that constrain tariffs and airport development charges. Adani emerged the highest bidder in terms of how much it would pay the AAI per passenger. Now, Adani is good at executing large, complex projects and could probably build decent airports. But the huge gap between its winning bid and the bids from competent players like the Cochin International Airports Ltd makes it likely that an Adani-led airport would be far more expensive for flyers, airlines and visitors than it needs to be. Blame the contract. ऐसे में कोई तो बताए कि यह लोकतंत्र जनता का है या नेताओं का और क्या इसके सिस्टम को बदलने की जरूरत नहीं है? अगर है तो उसका मूहूर्त कब आयेगा ? The tragic death of six people who entered a septic tank in Tamil Nadu’s Sriperumbudur town is a grim reminder that sanitation remains a low-priority area despite the high political profile of Swachh Bharat. Public understanding of the science of managing septic tanks continues to be poor, and the availability of cheap labour to clean these structures has slowed efforts to develop technologies that can safely remove and transport the waste. Sanitation thus remains a challenge in thousands of unsewered towns. What sets the incident apart from the several instances of people dying of asphyxiation in the tanks is that some of the victims were the owners of the property and not workers. Three people collapsed while inspecting their residential septic tank, and others who tried to save them also perished. Although workers were not affected in this case, it confirms Tamil Nadu’s abysmal overall record at raising sanitation standards. Since 1993, when the first law was passed against manual cleaning, there were at least 144 worker deaths in Tamil Nadu as of November 2018, according to official data reported to the Centre for grant of compensation. Karnataka, Uttar Pradesh and Punjab also fared badly with a cumulative toll of 146 lives lost during that period. But this is obviously a gross underestimate, since the Safai Karmachari Andolan, which has litigated in the Supreme Court seeking to aggressively prosecute offenders, contends that septic tank cleaning claimed nearly 1,500 lives between 2014 and 2016. More reports of deaths continue to come in. Every death of a manual worker represents a crime, since the Prohibition of Employment as Manual Scavengers and their Rehabilitation Act, 2013 makes the use of such labour to clean septic tanks an offence punishable with imprisonment of two years or with a fine of ₹2 lakh or both even in the first instance. If State governments are reluctant to prosecute offenders, they are also slow to adopt newer technologies such as Faecal Sludge Treatment Plants (FSTP), which can be combined with omniprocessors for safe treatment of waste. For the task of cleaning the tanks, indigenous innovation in robotics looks promising. A prototype is planned to be tested by the Indian Institute of Technology Madras and such devices can potentially transform sanitation in India and other developing countries. But the pace of adoption will depend on the priority that governments accord to the long-neglected problem. Last year, Tamil Nadu, and some other States, notably Andhra Pradesh and Odisha, announced plans to scale up FSTP infrastructure. This is a task that deserves the highest importance, and needs to be completed on deadline. What happened in Sriperumbudur highlights the heavy price that communities pay for the lack of scientific sanitation. If governments remain apathetic, citizens would expect the courts to step in to uphold the law against manual scavenging and make individual departments accountable. The science on sanitation has advanced, and policy must urgently catch up. Presidential orders and the circumstances in which they were made have eroded J&K’s special status. On March 1, 2019, the 77th and 103rd constitutional amendments were extended to Jammu and Kashmir (J&K) by a presidential order, with the concurrence of the J&K Governor. These relate to reservations in promotions for Scheduled Castes and Scheduled Tribes in the State services and special provisions for the advancement of economically weaker sections, respectively. However, on March 18, this was challenged before the J&K High Court. The constitutional relationship between J&K and the Indian Union has been the subject of numerous discussions in recent times. This has rekindled the long-standing debate on the continued relevance of Article 370. As in Article 370, the provisions of the Indian Constitution do not automatically apply to J&K. To extend constitutional provisions and amendments to the State, a presidential order to that effect has to be passed. This order requires the concurrence of the State government, where the subject matter does not relate to the subjects specified in the Instrument of Accession (defence, external affairs, and communications). For other cases, only consultation is required. Accordingly, a 1954 presidential order extended various provisions of the Indian Constitution to J&K. This order was made with the concurrence of the State government and also ratified by the State Constituent Assembly. After the J&K Constitution came into effect in 1957, the State Constituent Assembly was dissolved. Since then, more than 40 such orders have been made, through which most constitutional provisions have been extended to the State. The sheer number of such orders, as well as the circumstances under which they were made, have considerably eroded J&K’s special status under Article 370. From the 1950s there has been a gradual dilution of the procedural norms followed by these presidential orders. In passing the 1954 order, procedural propriety was followed in the fullest possible sense as the requisite concurrence was obtained not only from an elected State government but also the State Constituent Assembly. The presidential orders made after the dissolution of the State Constituent Assembly — except a 1986 order extending Article 249, and the present 2019 order — can be seen as the first level of dilution. This is so because for all these orders, while the concurrence of an elected State government was obtained, the State Constituent Assembly did not exist and, therefore, could not give its ratification. Although the Supreme Court upheld this practice in the Sampat Prakash case (1968), it has been criticised as being beyond the scope of Article 370. The 1986 order represents a second level of dilution. This is because it was made when J&K was under Governor’s rule as per Section 92 of the J&K Constitution. In the absence of an elected council of ministers, the Governor could not have validly given the requisite concurrence to the presidential order. Even if the Governor acting without a popularly elected government can be considered as a “state government” for the purposes of concurrence, the Governor must at least have had some nexus with the State and some independence from the Centre. However, this is not the case in practice, since the Governor is not only an unelected nominee of the Central Government but also holds office during the latter’s pleasure. Not surprisingly, the 1986 order was challenged in the J&K High Court; it is still pending. If the 1986 order was problematic, the third level of dilution brought about by the 2019 order is almost the final blow. In December 2018, the President assumed all the functions of the State government and the Governor through a proclamation under Article 356. In an order passed on the same day, the President directed that all powers assumed by him would be exercisable by the Governor as well, “subject to the superintendence, direction, and control of the President”. This is the main point of distinction between the 1986 and 2019 orders. During Governor’s rule, as was the case in 1986, the Governor is at least on paper expected to act independently. However, in the present case involving President’s rule, the Governor is reduced to a mere delegate of the Centre and is expected to act as per the aid and advice of the Central Government. A presidential order made through obtaining such a Governor’s concurrence is tantamount to the Centre talking into a mirror and makes a mockery of Article 370. The manner in which the 2019 order was made also goes against the spirit of federalism, which is a salient constitutional principle. President’s rule is an exception to the general constitutional scheme that envisages representative government at the State level to accommodate regional aspirations. Extending constitutional provisions to the State during this exceptional state of affairs is suspicious. If the Centre had legitimate intentions, it should have waited until the formation of an elected government in J&K. In the absence of popular will backing it, the 2019 order clearly falls foul of the principles of constitutional and political morality. Commenting on the 1986 order, the Sarkaria Commission had observed that “every action which is legally permissible may not be necessarily prudent or proper from the political stand-point”. Not only is the recent presidential order against federalism generally and the spirit of Article 370 in particular but it also violates the letter of the Constitution. Our newspapers, until recently, were full of BJP’s tagline “Namumkin Ab Mumkin Hai”. There is no doubt that Prime Minister Narendra Modi has taken a number of initiatives in diverse fields, which would raise the standard of living of the common man and transform India into a cleaner, healthier and resurgent nation. Swachch Bharat is gradually becoming a reality. Ayushman Bharat aims to provide healthcare benefit to about 50 crore people. Electricity would appear to have reached every corner of the country. Ujjwala and Sukanya Yojana would go a long way in improving the plight of women, and so on. Different departments came out with their lists of achievements. Even if we make allowance for an element of exaggeration, these initiatives have been laudable and the progress impressive. It is disappointing, however, that there is an area where even what was mumkin (possible) has not been achieved — it is about reformative changes in the police with a view to transforming it into an instrument of service to the people. The Supreme Court, in a landmark judgment in 2006, clearly said that “the commitment, devotion and accountability of the police has to be only to the rule of law” and that “the supervision and control has to be such that it ensures that the police serves the people without any regard, whatsoever, to the status and position of any person while investigating a crime or taking preventive measures”. The Court issued a slew of directions with a view to insulating the police from extraneous influences, giving it a measure of autonomy in personnel matters and making it more accountable. It is a great pity that even after 12 years, there has been only partial and, in some states, farcical compliance of the directions. The states are primarily to blame. However, the Centre cannot escape responsibility for its indifference and inaction in the matter. The Police Act Drafting Committee headed by Soli Sorabjee had prepared a Model Police Act in 2006. The expectation was that the Centre would pass an Act on similar lines for Delhi and the Union Territories and that the same model would be adopted at least in those states where the same party held office. Besides, Article 252 of the Constitution gives Parliament the power to legislate for two or more states by consent and lays down that such an Act shall apply to the consenting states “and to any other by which it is adopted through a resolution passed in that behalf by the House or, where there are two Houses, by each of the Houses of the legislature of that State”. Unfortunately, nothing of the kind happened. Till this day, the Government of India has not taken any definitive action on Sorabjee’s Model Police Act. In the absence of any initiative by the Centre, the states, 17 of them so far, have gone amok with their separate police Acts. It is ironical that while the British India had one police Act for the entire country, we are confronted with a situation where every state has a different Act with sharp differences in essential features. Justice K T Thomas, who was appointed by the Supreme Court in 2008 to monitor the implementation of its directions, expressed his “dismay over the total indifference (of the states) to the issue of reforms in the functioning of police”. Justice J S Verma, who submitted a comprehensive report on amendments to criminal law in 2012, urged the “states to comply with all six Supreme Court’s directives in order to tackle systemic problems in policing”. It is quite mumkin, but the executive is unfortunately not prepared to give up its zamindari over the police. The prime minister, while addressing the police chiefs of the country in Guwahati in 2014, raised hopes when he talked of building a SMART police — a police, which would be sensitive, mobile, accountable, responsive and techno-savvy. There has hardly been any follow up action and only some cosmetic steps were taken to augment the manpower and infrastructure of the forces. It is indeed a tragedy that while the country is forging ahead in different spheres to build a new India, its policing remains mired in a colonial structure. The Acts passed by the states are crude attempts to circumvent the implementation of judicial directions. The Supreme Court has also, for inexplicable reasons, not cracked the whip so far. The total strength of state police forces is 2.46 million and there are about 25,000 police stations and outposts across the country. It is a formidable strength. Imagine a situation where a common man does not feel inhibited in entering a police station, has a fair degree of confidence that his report would be lodged and investigated! It would be such a sea change. But is the political class keen on bringing about such a transformation? And, are the police officers themselves serious about introducing the much-needed internal reforms, which they could initiate without any political clearance or legislative backup? We need to understand that stable law and order provides the foundation for sustained economic development. Haryana offers the most recent example of a state suffering a serious economic setback when law and order collapsed in the wake of an agitation over reservation. A healthy democracy also needs a healthy police. In fact, if police is not able to enforce the rule of law and is constrained to take directions from persons of questionable antecedents at the helm, it will be the beginning of the end of democracy.